This is just a general sign calling for the downfall of the evil Zionist regime..we declare Hashem as the King and separate ourselves from the Zionist control and those who rebel against the King. It declares its wish fr the downfall of the evil regime. It is signed by the Neturei Karta. 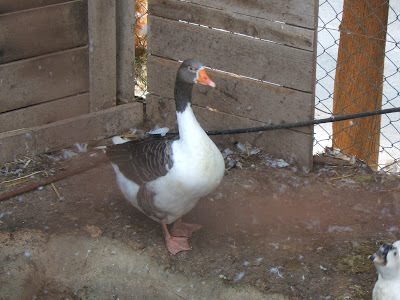 an exact replica of our goose, of blessed memory..
Was it a zombie? A reincarnation? A relative? An air raid siren just went off in Jerusalem where we have been staying for shabbos. The news has no reports of a war having begun so I have no idea why the siren went off.... Must have been a false alarm. Playoffs! World Series! Here we come! the modesty patrol strikes again! When a few Haredi Jews set up a modesty committee we criticize them for imposing their style on others. We criticize them for religious coercion and the like. I wonder why we never hear criticism when others do it? I know - some will say we do not expect better from them... That is not a good answer. We should be fighting for their rights as well. We should be concerned about their development of a free society. I just completed the book "The Case for Democracy" by Natan Sharansky. It is an amazingly refreshing book with bits of history both from the USSR-US Cold War and over years of negotiations and relationships between Israel-Palestinians and the US. His main theory is the need for a free society rather than a fear society. The Palestinians are living in a fear society. The only way they will better their lives is by moving to a free society, with our support. If we continue with the attitude that that is who they are and the way they live, nothing will ever improve in their quality of life. We need to urge them to improve themselves and create a free society where incidents like these become not acceptable and criticize-able. Today 2 prominent people passed away. One was Yisroel Segel. He died at the age of 63. He was a journalist and broadcaster. He headed the Israel Broadcasting Authority for a number of years as well. He was an accomplished author. He is the brother of HaRav Dan Segel of Yerushalayim who is one of the leading "Mashgichim" of this generation. The two brothers had a falling out many years ago when Yisroel chose to be not religious. They broke ties and never made nice. Yisroel over the years became not just secular, but virulently anti-religious. YS recently suffered a coronary while driving on the Ayalon Highway and ended up in the hospital (both for the coronary and the subsequent accident). After being released, he recently went back in due to his deteriorating situation. After he was released from the hospital the first time (from the coronary) he related that while in his coma he had gone up to heaven and met his father. He says they made peace with each other at this meeting.. The second death was of Rav Avraham Shapira at the age of 96. He had served as Chief Rabbi of Israel. Rav Shapiro was also head of Yeshivas Merkaz HaRav, the most prestigious yeshiva of the National Religious community, and was one of Religious Zionism's leaders. He was, by all accounts - even among the haredi public - a prestigious Rosh Yeshiva and a brilliant mind. He had corresponded extensively in halacha with the Chazon Ish. 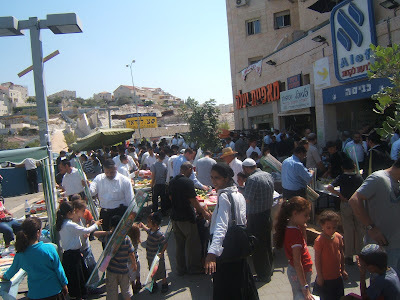 The "merkaz mischari" - shopping area was jampacked today with people buying last minute items, along with coming out for the "shuk 4 minim"..
a merchants table with his wares, esrogim, laid out for all to see.... my boys with a few large "Yemenite Esrogim"..they are much bigger than our ashkenazy ones.. This is the table of the guy selling the Yemenite esrogim. he was very friendly. He gave me a slice of Esrog. They arevery sweet, in contrast to our ashkenazy esrogim.. you can see the large ones in front. The even mroe interesting one is the orange one. He told me the gemara mentions an orange esrog, but I do not remember it. I will have to look for it.. 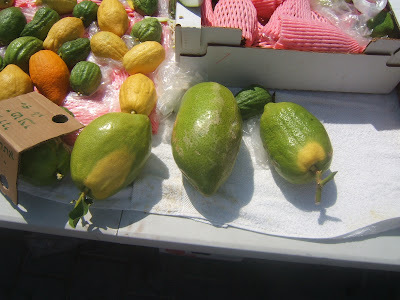 These are the esrogim being sold on the table from Kfar Chabad. They are Chabad Lubavitch esrogim. They originate from an esrog that was used by the Lubavitcher Rebbe. They took his esrog (I guess over the course of a number of years) and planted new orchards of esrogim. I wanna know which cop had the cojones to pull over Jack Bauer - even a drunk one - and arrest him...... and did he call Chloe for support? As a result of Israel declaring Gaza to be enemy hostile territory, the best thing that could have happened to Gaza just did. Bank Hapoalim today announced that because of Gaza's status, it will stop working in Gaza and break off its connections with the various Gazan banks and bank branches. The commissions and fees at Bank Hapoalim are so high that this announcement can only be good for the residents of Gaza! They will now have more money in their pockets, because Bank Hapoalim will be taking less out from them! 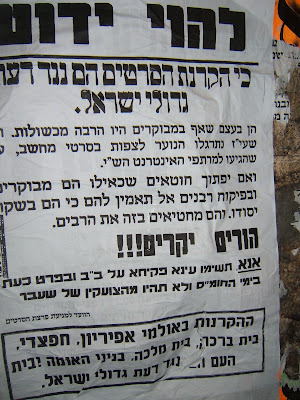 Pashkvilim (those great forms of communication used in frum neighborhoods in Israel) have been passed around Mea Shearim recently. These pashkvilim have been calling for a boycott of Hogla. Hogla is a disposables company making items ranging from diapers to toilet paper. The claims against Hogla calling for the boycott of their products are that the factory operates on shabbos or the company purchases raw materials from other companies that do. The local Haredim say they are not behind the ban and it is one of the competitors. The suspicion is that its main competitor, Saniv, is behind the signs calling for the boycott. Saniv says that they have been marketing their Sabbath observance but denies involvement in the boycott. One will be involving bribery issues from when he was mayor of Jerusalem. It will involve educational institutions. I have not heard what they received in return, but I would suspect they received buildings, licenses, funding, etc. In return they gave Olmert gifts of expensive pens (he is a collector), cigars, purchased his wife's artwork at overpriced prices, etc..
On another note, Maariv (Israel's second largest newspaper) is reporting that Olmert is going to be appointing another Deputy Minister to his government, despite his promises to not appoint such positions. The promise was originally made due to the fact that the Deputy Minister carries no responsibilities and is simply an expensive political payment at the taxpayers expense. So we will be now adding yet another ministerial position and salary to the already over-bloated government. Every year the Jerusalem Municipality comes up with an interesting model of a Sukkah to build in Safra Square (where City Hall is located). I do not have such a good memory to remember all teh various designs, but I remember they made one out of lights last year or two years agon. 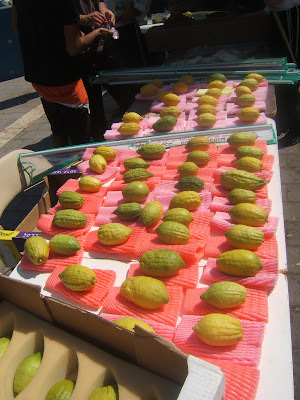 Anyways, this year the Municipality of Jerusalem will be building a large sukkah made out of candy, They are calling it the Sukka-riya (play on words combining the words sukka and the Hebrew word for candy). The guy who gives advice to the police on how to investigate and who to investigate, generally saying they should be investigating someone other than him, is almost always the guilty party. Just watch any detective/police movie. You will see. Whenever the suspect feigns innocence and advises the police where they should and should not be looking, it always ends up to be he who is guilty. Today Mazuz decided to recommend for a police investigation into the second of a number of investigations against Ehud Olmert. The one about having sold (one of) his house(s) for an unreasonable price, which leads to the suspicion of bribery and illegal campaign funding, considering the buyer was a financial/political supporter of Olmert's. Thanks for giving the police your invaluable advice. The Comptroller investigated and found reason to indict. The Attorney General looked over the material and found reason to allow the investigation to officially be opened by the police. Thanks for letting us you you think you are innocent and advising the police to drop the case. Today yet another potential scandal was made public. Dr. Yaron Zelicha, the State Comptroller who has been in the media ever since he made public his claims of Olmert's corruption and has testified as the star witness in the investigation against Olmert, announced some new allegations. Zelicha now claims that Finance Ministers Hirshson (under indictment for embezzlement of state funds, tax evasion, money laundering and other financial crimes) and Bar-On have given extra funding, illegally of course, to heads of municipalities in which the mayor transferred from his political party to Kadima. If a mayor somewhere left Labor or Likud or any other party and joined Kadima, his city was given extra funding. What will come of this claim, who knows. I guess another investigation will be opened and in a few years we will hear something of it. Now that Yom Kippur is behind us, it is time to build the sukka.. I went to drop off my "kaparos" money plus a little donation at one of the local charities. They had set up a booth outside one of the local makolets so people could drop off their donations today. At this booth I was surprised to see a few young teenagers manning the booth, along with David, the founder of the organization. As if he had nothing better to do today, such as getting ready for Yom Kippur/shabbos/sukkos and letting the kids collect the donations, he himself was out there talking to the passerbys and running things. On the table where they were collecting the money, they had poured cups of various drinks for people to enjoy. David called them "segulah drinks" and urged people to drink them. I asked him what is the segulah of these drinks? 1. The Hassidic explanation that on Rosh Hashana one of the things God decides is how a person will live financially - will he be rich or will he have to receive charity. Because these drinks were donated to the tzedaka organization everybody drinking from them are receiving tzedaka, albeit on a small level. Therefore in case it was decreed you should be poor and receive tzedaka, you can come to God with a claim that you have fulfilled the decree and have received tzedaka. 2. The Litvishe explanation - Nobody likes to be on the receiving end of tzedaka. Therefore by taking tzedaka today, albeit in a small measure (just a drink), we are removing the shame of it (somewhat) from those who need to take it in greater measure and more frequently. This way everybody is the same and everybody receives from tzedakka. 4. 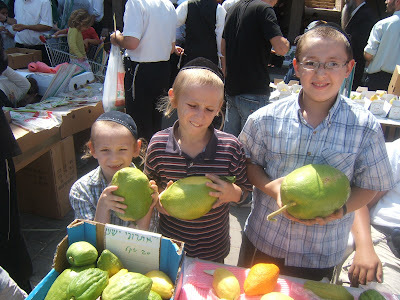 They will do more mitzvos by coming to get their free drink they will likely give tzedakka. Looks like David was doing the best thing he could do before Yom Kippur to prepare for the Day of Judgement by busying himself with more mitzvos. See Lemaan Achai for information about the charity and making donations to a worthy cause for the poor and needy of Eretz Yisrael. Gmar Chasima Tova to all of you..
especially this paragraph: Just think how many heads of cows had to roll to make enough parchment for one sefer torah - and though a mezzuzah uses only a sliver, multiply that by millions of doors in Jewish homes around the world. And whoever puts on tefillin (phylacteries) every morning, is literally wrapping around his arm a nice big chunk of cow. What's the difference between Madonna and Shimon Peres? Madonna wears tefillin and visits the graves of holy rabbis. I missed this last year and was determined not to miss it again... Today is "Talk Like a Pirate Day". 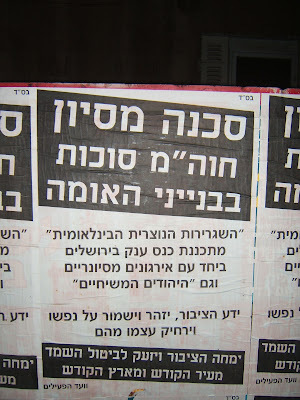 If you are looking to increase your pirate vocabulary, check out the lingo..
Maariv newspaper has reported that a family from petach Tikva applied at Misrad Hapnim to name their newborn baby nothing less than "Na Nach Nachma Nachman M'Uman". This morning I heard on the radio a discussion about the report that two months ago there was an explosion while scientists were supposedly attempting to fit a warhead with chemical weapons. The discussion was focusing on how this report was leaked. The reporter said that there is an expression (regarding Syria) that there is a (government) censor in every newsroom (deciding what info to let be publicized). The reporter said that this expression is inaccurate and really it should say there is a reporter in every censorship office. In other words, the censorship is so pervasive and is much more dominant than the actual news reporting. I find it ironic that he was criticizing the Syrians in this fashion. Considering it is coming in the wake of the recent incident of a supposed Israeli flyover in which nothing has been reported in Israel about it aside from rumors garnered from the world press. One day we hear it was blowing up a shipment of arms to Hezbollah. Another day - blowing up a nuclear arsenal. Another day - just a flyover. Another day - a syrian bunker. Etc. But we have no confirmation from Israeli officials. In other words, we are having censorship at a similar level as that of the Syrians (in this affair at least). Let me make it clear though - I think it is good it is being kept silent. Sure I am curious like everyone else. But it is good to keep sensitive things like this quiet until more appropriate times. 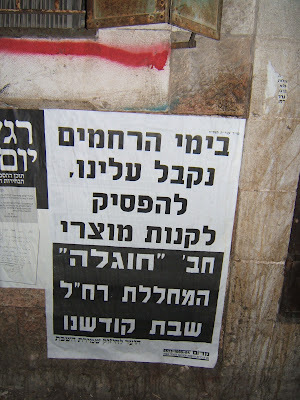 Zahava Galon (MK Meretz) has gone way too far demanding all that happened be revealed. While she does have a point that this government has not earned and does not deserve our trust to perform such activities on its own discretion without public oversight, I still think she is wrong and this is something that should be kept quiet. Not all our laundry needs to be washed in public. But despite that, it is funny to hear the criticism of Syrian censorship when we have similar censorship. I saw in the newspaper this morning that Israeli Arabs are starting a boycott of El Al. They are declaring that they have had enough of the over-zealous security checks they are put through in order to board a flight. I think most people will be happy about this boycott. After all, it is because of them that we have to go through all those security checks in the first place (or am I not allowed to say that)! Maybe now it will be easier for everyone else to get on a plane! 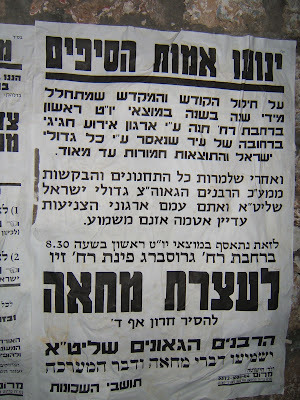 Here is the meaning of the poster: Rav Elyashiv, before Rosh Hashana, purchased some pomegranates from which trumot and maasrot had not been sepoarated. That means they were "tevel" and had a mitzva d'oraisa for him to separate trumot and maasrot. Being that last year (i.e. before Rosh Hashana) was the 6th year of the 7 year shmitta cycle, that means he had to separate maaser rishon and maaser ani (1st tithe and the tithe for the poor). 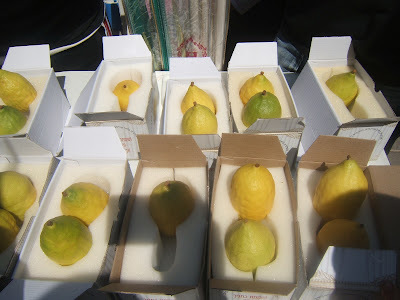 Rav Elyashiv separated the necessary tithes and then donated his tithe of the poor (one pomegranate) to tzedaka organization called Rabbinic Committee for tzedaka in the Holy Land. I could make it into a caption contest.. anybody have a good caption? I would say he is probably wondering what the heck they want his one pomegranate for..and what they are going to do with it? It is such a big deal that they will give it to a poor person for him that they need to make a poster out of it? Maybe they will sell it and use the proceeds for the poor? Maybe they will even put it on ebay for sale!! 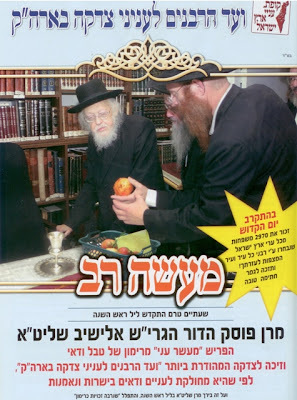 Is this another stage in the making of Rav Elyashiv, along with many other Rabbis, into a chassidic rebbe? Why should the State reimburse Olmert for his legal expenses? He chose a lawyer, who happens to be the most expensive in the country, and the taxpayer has to pay for his legal counsel during the Winograd hearings? The article does not say why the State agreed to pay.. And he is the only one who thought of requesting it? Why only him? We all thought Ami Ayalon was going to be the Great White Shark of Israeli politics. He came into the Labor party and shook things up. He was a man who stood his ground and stood for his ideals. His popularity in nearly taking control of Labor leadership was based not on previous Knesset experience and what he can do, but based on a reputation he developed of being clean and idealistic. He came in as somebody who wants to fix the system He was not going to sit in the Olmert government at any cost. If he would win he would insist on new elections right away. He was even offered a position after he lost to Barak and he refused because he would not sit in the Olmert government. He looked like a promising future leader. A leader like the leaders of old, who had ideals and were not just interested in the perks of the office and the power. Ami Ayalon has now agreed to Ehud Barak's offer and has been sworn in to the government as a Minister without Portfolio. That brings the Olmert government to 26 ministers. It is the most bloated government ever and is symbolic of exactly how Olmert stays in power. They just give whoever needs it a big salary and some perks and that shuts them up. Tzippi Livni was the big threat to Olmert. She called on him to resign as she could no longer work with him. When he said no, she did not resign herself to show that she could not work with Olmert. She simply said ok and went back to her office. She would not give up her job. That is not ideals. That is not improving government. Olmert did not fire her because that would have made trouble. He let her stay in the position of Foreign Minister because it gave him quiet. Labor party, who claims its main issue to be that of social welfare, is partner in the government responsible for the most outrageous spending of any previous government. Not only that but they are directly responsible, not just partner to, for the needless increase of wastefulness that is happening because of the new appointment of Ayalon as a Minister with no responsibility. This whole appointment is purely a payoff. They should be embarrassed of themselves. But Ami Ayalon's whole selling point was just lost. He was the clean guy. The throwback to the old days when politicians had ideals and stood their ground. He said he could not and would not sit in Olmert's corrupt government. But now he is. And what is his excuse? Why did he cave? He gives nothing more than the standard politicians excuse. And I quote Ami Ayalon, "I can influence the government better by being a member of the Cabinet." Ho Hum. He is just like the rest of them. During these days between Rosh Hashana and Yom Kippur, many people have the custom of "shlugging kapparos". Some do it with money (like me) which is donated to the poor, some do it with a chicken, and some even do it with fish (I have seen this!). There has been a lot of discussion recently about the need to shlug your kapparos, if you are doing it with a chicken, in a place that treats the chickens reasonably well and does not cramp them in and leave them too long in the sun. The situation is deteriorating and is becomnig intolerable. We must all cry out and scream "Olmert must go home!" Just this evening a Qassam/Kassam rocket was shot from Gaza into Israel. The rocket hit a chicken coop and killed 5 chickens. Is the blood of our chickens hefker? Must the blood of our chickens flow through the streets like a river before Olmert does anything to protect them? Is the blood of the chickens of Sderot not equal to the blood of the chickens of Tel Aviv? The time has come to say "Enough is enough!" Keep our chickens safe! And does the owner of the stricken chicken coop still have to "shlug kapparos" or was he already yotzei?? There must be 500 million Jews! I don't get it. Every single catastrophe and crisis around the world involves an Israeli. Every plane crash, every mudslide, every earthquake. Something happens in some far flung country and there is always some Israeli there. Today a plane crashed in Thailand and 3 Israelis are hurt. I don't get it. There are only 13 million Jews (or so) in the world. There are only 7.25 million Israelis. How is it that every crisis or catastrophe seems to have an Israeli involved? In the prayers of Rosh Hashana we have a very powerful piece of liturgy known as "U'Nesaneh Tokef" which describes the importance of the day and the various types of judgements we are experiencing. "Who will live and who will die" and then all sorts of options of what sort of death and what quality of life. Over the course of this Rosh Hashana, new meaning was brought to that phrase "Who will live and who will die." Right before the holiday, 2 people were killed in separate traffic accidents. One male and one female. These two people had their organs donated to sick people who were waiting for transplants to save their lives. Various organs from these two victims were donated and dispersed among 8 various sick people. Four hospitals were involved and tens of doctors, nurses and technicians. Who will live and who will die? We never know what our fate will be, but these two people lost their lives and in the process saved 8 others. Shana Tova to all of you. Ksiva V'Chasima Tova. I have not yet written anything on the shmitta situation and controversy and am still not going to. I am very unclear on the whole thing and am therefore not writing anything on the topic until I figure things out better. This post is shmitta related, but is not a "shmitta post". 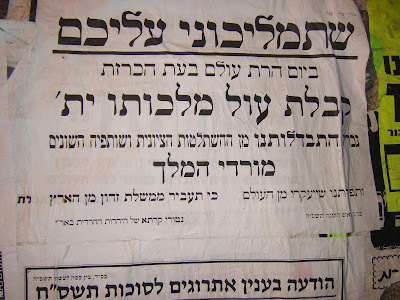 The Rabbanut still, despite much controversy recently, approves of use of the "hetter mechira" which is basically a land sale of the Land of Israel to a non-Jew in order to allow Jewish farmers to continue working the land during the shmitta year. Yesterday was the ceremony of the sale. Agriculture Minister Shalom Simchon sold the land to Colonel (res.) Hamada Ganem of Mgrhar (a non-Jew) for a grand total of 70 billion shekels!!! A group of private farmers sold additional lands to Ganem for another 1.5 billion shekels. He gave two post-dated checks for those amounts (one for 70 billion and one for 1.5 billion). 1. Simchon made a big mistake in running the sale of the land. Had he let Olmert run it, with all his real estate experience, I am pretty sure Olmert would have garnered a much higher price out of Ganem. 2. I wonder what that is like. Writing a 70 billion shekel check. How do you go into a bank to deposit such a check? Can you use it at the local makolet to pay for milk and bread? don't get lost, you never know where you might end up! Are you coming to Israel for the holidays? Will you be driving around a lot? You might want to consider renting a GPS system. You really do not want to get lost and end up in some of the places I have ended up, let alone anywhere near where that Israeli army officer ended up last week. Sure, he got out ok by the skin of his teeth, but think if he had a GPS system, he could have avoided the whole incident in the first place. Now he is sitting 28 days in jail for entering illegal PA territory and he could have lost his life there as well. If you do not want to get lost and choose to rent a GPS system for your trips, Webads, the guys with the ads at the top right of this website, have worked out a great deal for you. DadyGPS are the guys who do GPS rentals. If you just tell them Webads sent you, instead of paying the standard price of $15 per day (or $60 per week), you will only pay $12 per day (or $50 per week)!! Again, the only catch is that you have to tell them webads sent you. You can all David Borada directly at ++-2-624-0447. David's email is dadygps@gmail.com for more information. I just read an interesting psak by Rav Elashiv regarding the upcoming three day holiday of Rosh Hashana on Thursday and Friday immediately followed by shabbos. It is common in Haredi communities in Israel that men wear a special "frock" for Yom Tov. As a matter of fact, I always find that very weird. I am used to frocks being the dress code of Rosh Yeshivas and great Rabbis, yet we see young newly married men wearing frocks when it is yom tov. 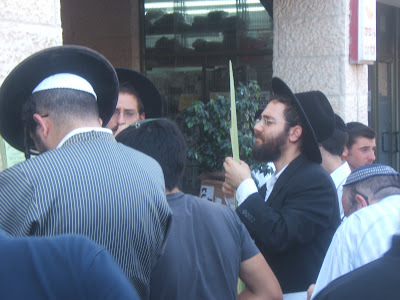 Be that as it may be, the frock is worn among the general public in haredi communities. Rav Elyashiv declared that the special frock should, in cases of three days yom tov, be worn not just on Yom Tov, as is the custom. Rather the frock wearer should continue wearing the frock even on the third day, being shabbos (the day that the frock is generally not worn). The reasoning behind this psak is that by wearing the frock for the holiday and then immdeiately removing it and not wearing it for shabbos is, in a sense, disgracing and shaming the shabbos. You are somehow saying that shabbos is less worthy. In order to avoid that, one should continue wearing the frock on the third day being shabbos. Note: this would not mean that the frock should be worn on a regular shabbos in order to avoid shaming the shabbos by treating it less than a holiday. it is only when the days are continuous that we are concerned about this. I would compare this psak to the Yekkish minhag of tallis wearing. When the Torah is read during Minha, for example on Shabbos afternoon, Yekkes (among other communities as well) will don the tallis when getting the aliyah to the Torah. What is unique about the Yekke community is that after the person completes his alyah, he will generally not remove his tallis. He will continue wearing it and wear it through the subsequent tefilla, only removing it after kedusha. The reason for this, as I understand it, is that it is disrespectful to don the tallis for the aliyah (which is really kavod hatzibbur) and then remove it for the tefilla. It is, in a sense, disgracing the tefilla and saying the tefilla is less important. To show the tefilla is not less important, we keep the tallis on until after we have davened shmoneh esrei. I like this psak of Rav Elyshaiv. I think it makes sense and if I wore a frock, which I do not, I would wear it on shabbos as well after yom tov. I wonder if this applies to the kittel I wear though. Most men wear the kittel only on Yom Kippur, I wear the kittel on Rosh Hashana as well. The kittel is worn not so much as kavod for the holiday (which is why the frock is worn), but to resemble angelic behavior and purity. So to not wear it on shabbos should not be disgracing the shabbos and should not be considered treating it any less than the holiday. Last week on shabbos there was a fault at the electric company and the electricity in sections of Bnei Brak went down for some time. The question was asked to Rav Yitzchak Zilberstein, the Rav of the Ramat Elchonon neighborhood that was affected by the outage, what to do when the electricity came back on; could the residents continue using their items such as food on the hot plate that will heat up, air conditioning, lights, etc. or do they have to refrain from benefiting from the work done on shabbos to fix the fault. Rav Zilberstein paskened that, for the most part, the electricity could be used as usual. His rationale is that there are sick people using equipment on that electricity line, along with a hospital on the same line. Therefore the work done was really being done for sick people and was necessary. Any benefit received by non-sick people is really secondary and therefore not prohibited. Regarding food on a hot plate he chose to be machmir and said that any food that had already cooled down by the time the electricity went back up should be removed from the hot plate and not be allowed to heat up. What irks me is the terminology used. He said, "The Residents of Ramat Elchonon who rely on the lenient opinions to allow use of electricty on shabbos...."
Using electricity on shabbos is the standard opinion in halacha. To disallow it is really the chumroh, mostly based on the opinion of the Chazon Ish. I know when the generator was put in my neighborhood, (most of) the Rabonim who supported it and tried to encourage the residents to join up with the generator, pushed it only as a chumroh. They did not say it is necessary, rather it is a worthwhile chumroh. When we lose sight of what is a chumroh (stringency), what is a kula (leniency) and what is halacha, that is what causes the rifts on society. The only thing I can think of to explain what Rav Zilberstein said is that maybe in Bnei Brak they overwhelmingly accepted the opinion of the Chazon Ish and therefore they consider it base halacha and anybody not using only the generator is being lenient. HH #133 at the Rubicon! Is George Bush really a friend of Israel? We have all been fed the line numerous times how George Bush is the best "friend of Israel" in a US President that Israel has ever had. He, supposedly, gives Israel pretty much a free hand in its security issues, allowing Israel to retaliate to certain situations when no other president was so tolerant. Whenever people tell me how friendly Bush is to Israel I tell them it is all PR. Public Relations. 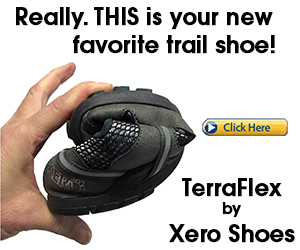 Good marketing. He is no better than any other president and possibly even worse. They always scoff at me when I say that and then they cite multiple incidents in which Israel struck at PA militants/terrorists without any objection, and therefore the tacit approval of the US. I continue and use the Gaza pullout as an example of how Bush is no better than any other president. Only in the time of US President Bush did Israel ever evacuate territory, and so much of it, with nothing in return, all the while throwing a large segment of the population into great turmoil. Now in hindsight one can even add how that led, or at least helped build up to a Hamas takeover of Gaza and subsequently the abduction of soldiers and a two-front war with a resolution that, despite Olmert's statements, was not really all that good for Israel. They then scoff some more and say, "Bush??!! What are you talking about! That was all Sharon. He did it to save his neck. He was guilty of all sorts of crimes and had to protect himself so he came up with this plan, blah blah blah. And if Israel offered it, how could Bush reject it!! You cannot blame Bush for that." I always say to that that nothing big here happens without the prodding of the US government. So if the Gaza pullout happened at all, it somehow must have come from Bush. They did not publicize it, but it is in the background somehow. They laugh and think I am some crazy Democrat. A book was just published called "The Confidante" by Glen Kessler. It is about Condoleeza Rice and the Bush legacy. I have not read the book yet, but I did recently read a review and a description of the book. I might add that this is not normal the type of book I would read (being it is about George Bush's legacy), but now I find it worth reading just for the sections on the Bush dealings with the Middle East (read: Israel). The review I read excerpted a small section of the book, just a couple of paragraphs really, on the leadup to the Gaza withdrawal. I do not have it in front of me so I cannot print the quotes, but I will paraphrase and give over what was said. The author related an incident in which Bush told Condi he would support efforts to create a Palestinian state. Rice created a channel between Bush and Sharon via Sharon's adviser Dov Weisglass. The reviewer mentioned a number of incidents; regarding Arafat's muqata and the Israeli siege, the war with Iraq, etc. The one I found interesting was the one on how Rice was involved in the creation of the Disengagement. Rice, according to the author, told Weisglass that the Road Map is not good enough. She told Weisglass to go home and come up with a new plan; something that will let the world say, "Look at what Israel has done , and not the Palestinians need to do something." Weisglass got back to her with a plant o disengage from 3 to 5 settlements. .
Rice said that the US would definitely support such a move but that is not good enough. She said that if Israel wants to change the dynamics and create a new reality, it would have to be the whole Gaza, and nothing less. Weisglass went back to Sharon and they worked it out and gave Gaza to the Palestinians. That is how the disengagement came about, at least according to this book, The Confidante. I knew the US pushed the whole thing. Bush himself might not have been involved much in the details, but he was by proxy of his Sec State. I think this book is a must read, just to get the details of that story clear. This is part 1 of the Jewish Reconnection Project. They are getting young Jews in New York, of all stripes, to talk with young Jews in Israel, of all stripes, about issues affecting Jews and Judaism. I am not really sure what that means. The army might have dropped ammo into Syria without approval and without telling anyone who needs to make such decisions? They do know? They do not know? The army is not even sure and needs to look into whether they themselves did something or not? Your logo needs a haircut! 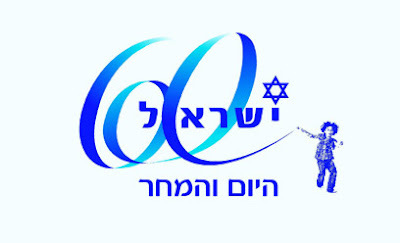 This is the new logo the Symbols Committee has decided to use for the upcoming 60 year celebrations for the State of Israel. I am no professional graphic artist so I will not comment on the quality. To my untrained eye though it looks nice. Not perfect, mind you, but nice. Personally I think they ruined the word "Israel" in the middle as the spacing looks uneven because of the swirls. but overall it looks like a nice and funky concept. MK Yitzchak Cohen (of Shas) opposed the logo above because the kid looks like he needs a haircut. The committee laughed at his opposition and proceeded to approve it. I have some updated info regarding the story I wrote about yesterday.. That was a tantalizing story in which seemingly the local zealots had publicized a womans personal information claiming that she had committed "maaseh zimri" (adultery perhaps?) and they were planning to chase her out of the neighborhood. Someone I know decided to investigate the source of the flyers, or pashkevilim, and asked around for some background info. Supposedly, and if this is true or not I do not know, but this is what he found out, it was not zealots or fanatics behind the printing and distributing of the flyers. Supposedly, the husband is behind it. It seems they are going through a divorce, and a messy one at that. The husband, in an attempt to put pressure on her, printed these flyers and had them thrown around the neighborhood. That is all I have heard so far. If I find out any more, I will let you know. an adulteress in our midst!!! This is the "pashkevil" that was thrown around the neighborhood yesterday. I erased the name and address/phone number before I uploaded it. "And you should remove the evil from amongst you"
is causing the public to falter with her ugly deeds that are like the deeds of Zimri (note: Zimri was a tribal leader of Israel in the desert who had an public adulterous affair with a princess of Midian). Therefore, anybody who assists her in any way, be it by babysitting or any other form of assistance, and anybody who steps foot in her impure house WILL BE PUBLICIZED. Our neighborhood is holy and we call out to her with this first warning "Impure one! Leave our camp!" "And it should not be seen amongst you "ervah"..
P.S. Until the impurity is removed from our neighborhood, forms of protest will continue. Soon there will be organized a protest rally at the place of the impurity, nobody's presence should be lacking, further details will be updated later. Really I do not even know what to say about this. She lives with her family down the block from me, though I do not know who she is. My wife knows who she is and tells me that this woman dresses very provocatively. Her mode of dress fits all the technical details of tznius, but is very not tzniusdig. I have not heard of an adulteress in the neighborhood, so I am unsure as to the veracity of the claim that she is committing "deeds of zimri". Maybe by that they mean something other than what I understood. 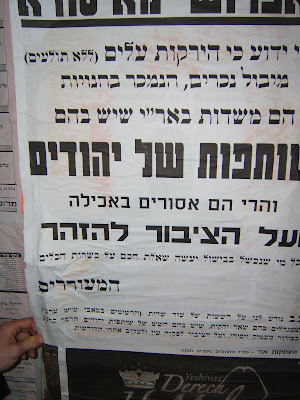 Her husband, I am told, is an avreich in a local kollel and, at least by appearance, appears like any other avreich. I wonder what kind of pressure is being put on him, and I wonder what he thinks about her "style of dress" in general. I know my father has told me a story from the time we lived in Boston. He went to a shiur regularly that was given by Rav Soloveitchik. I do not know what the topic was, but my father told me he asked Rav Soloveitchik why he lets his wife go around with her hair uncovered. The Rav's answer, tongue in cheek style, was "Have you ever tried to tell your wife what to do?". In other words, while he might not have approved, he could not tell her otherwise. So maybe this yungerman does not approve of his wife's dress, but can't say anything. I do not know. It looks like this is going to be headed for a big confrontation and they will probably be chased out of the neighborhood. Just because that is what happens. Because they think they can decide how other people should behave/act/appear. Because nobody stands up to these thugs. Because they do not listen to their Rabbonim nor to any Rabbonim, but they come out acting all holy and pure and concerned for everyone's purity. I said to my wife last night that we are probably next on their list. After all, when I go out to throw out the garbage, I often am wearing my t-shirt and shorts and do not bother changing... Needless to say, she was not happy with my comment. I also do not know what happened suddenly to provoke this "protest". They have been living in the neighborhood for a number of years already and I never heard a peep about anything like this. So it seems to have come out of nowhere. Unless she just did something that upset these people. I am trying to find out more info, and if I do I will update this post. Ynet has an article about the prices of buying seats for the High Holidays in shuls. While they do not say straight out that the religious are ripping people off by charging so much, it definitely feels that that was their implication from the way the article was written. The Great Synagogue in Jerusalem is offering tourists reserved seats for the High Holidays for up to $700, while Israelis will be able to purchase the same seats for about $170 dollars, Yedioth Ahronoth reported Tuesday. At synagogues of the hassidic rabbis' courts the prices vary according to how close they are to the admor (acronym for "our master, our teacher, and our rabbi). 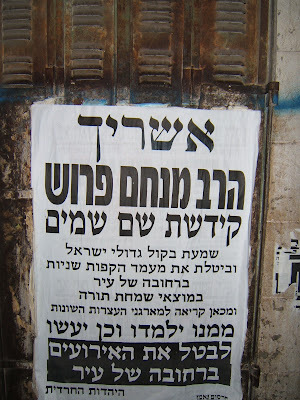 A reserved seat near the admor at the Belz (hassidic sect) synagogue can reach a whopping $50,000. 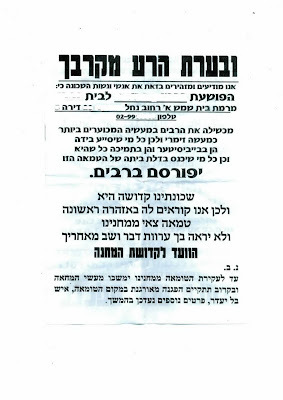 Kfar Chabad is charging NIS 60,000 ($14,500) for being the last person to be called up to the Torah and NIS 30,000 ($7,250) for being called up to the Torah for the opening prayer of the Eve of Atonement (Yom Kippur) service. I have a couple of comments to make on this. First of all, there is the issue of supply and demand. A more popular synagogue will charge more for its seats than will a less popular synagogue (the popularity could be determined by various factors; a charismatic Rabbi, the social crowd that goes there, the decor, the quality of the cantors, etc..). It is simply a function of supply and demand. If 1000 people want to buy seats there and there are only 400 seats, for example, they will obviously charge more for the seats. Second of all, the buying of seats is very important. The synagogues almost never charge money during the year, after the High Holidays. During the High Holiday season they charge for seating and membership and then you will not hear from the shul again about money until the next year. It costs a lot of money to run a shul. The Rabbi has to be paid, as does the electric company and the utilities and maintenance bills, etc. The only money the shul earns is from its sale of seats by the High Holidays, along with voluntary donations given during the year. Again, it costs a lot of money to run a shul. It is totally legitimate to charge for the seating during the High Holidays, as that is basically the shuls main source of income. Third, regarding the prices given as examples from the Hassidic courts. They do sound pretty ridiculous. However once must take into account Hassidic culture and society. It is considered a great honor to be by the Rabbi or to get certain aliyas or other honors. These are also controlled by supply and demand. Only one person can get the last aliya, so the price is driven up very high as everybody bids for it. As well, think of it like going to a baseball game. If you went to Wrigley Field to watch the Cubs play baseball, you would pay good money for box seats. Maybe $100 per ticket. But if you went for seats way in the upper deck near the back you might only pay $8 for your ticket. As well, while Cubs fans do not really have much experience with this, if you buy tickets for a playoff game, the same seats that normally go for $10 might go for $50 (I made these numbers up, but you get the point). The synagogues are not really any different. The "better" the seat, the higher the price tag. And again, it costs a lot of money to run a synagogue. And, usually, most shuls are amenable to helping out people in financial trouble who might have a hard time paying high fees. they would spread out the payments, or charge less to such a person. I know my shul has said many a time that they do not turn people away just because they cannot afford to pay the ticket. They find a solution and a way to work things out. I think most shuls are like that. Yesterday it was reported widely in the news how Boaz Yonah was caught in Italy. Yonah is the CEO of Heftzibah, the construction company that went bankrupt a month or so ago, leaving many families without homes after they shelled out all their savings to buy a place. Yonah skipped town and the police could not locate him. He is suspected for tax fraud, illegal business practices, money laundering and other stuff. Anyway, they track this guy down by talking to his dumb blonde wife. She claims to have no idea where he is and she has not seen him and he abandoned them and they have no money for living, blah blah blah. Sure enough, she was too stupid to think the police might have tapped her phone. She called good old Boaz and they met up in Italy where the police caught him having lunch with her. The funny part of the story is the police saw him and identified him but were not 100% sure it was him. The policeman called out "Yonah!" and he, instinctively, turned around. That sealed the identification. That reminded me of the old Brady Bunch episode where Mrs. Brady (I think) was in court for some traffic accident in which the other guy was claiming damages like whiplash. Mr. Brady threw down his briefcase creating a sudden loud noise to which the guy with "whiplash" turned around instinctively, showing his true health situation. Needless to say that was the end of the court case. A small school of 20 students had to shut its doors for good. 19 of the children found other schools to go to. 1 student, a child of 4 years old, has not yet found a school to attend. The parents brought the child to a school and applied. The school rejected the child, supposedly saying that the reason was because 1 grandparent of the child was sefardi. This despite the fact that the parents are both ashkenazi and only 1 grandparent was sefardi (not that it really matters, but that's the story). The child looks ashkenazi and speaks yiddish and is completely ashkenazi. The school in question is in Bet Shemesh and the principal insists on keeping his school with "certain standards" and he cannot take "damaged goods". Now, on the one hand, the story is horrible. This is the way Nazi's determined who was Jewish and deserving of persecution. They declared that anybody with one Jewish grandparent was considered jewish. It did not matter how intermarried the children were. One Jewish grandparent was enough to taint the blood. This principal is applying the same rule and saying this child is tainted because he had one sefardi grandparent. This is a horrible way of selecting students. You can say the child is academically not at the same level (after testing him), or various other excuses to convince them to find a more appropriate school for their child. But simply because 1 grandparent was sefardi? This is a scandalous situation that happens all too frequently. Schools have quotas limiting how many children of sefardic descent they will accept. Other schools do not accept any. The girls schools every year have a similar problem with upwards of 150 girls reportedly not having a school to go to. This is just because they did not have the right "connections" and "protexia" or because they are sefardi. On the other hand, I do not understand why these people insist on going only to the specific school in question. In truth, they are just as bad as the principal. There are dozens of wonderful schools to choose from. Why did they choose this one? Because they consider it the top school. They think because this school got itself a reputation as being the best (I might add they probably got that reputation because they keep out sefardim so in peoples mind they are pure) it must be so and their child must go there and be part of the discrimination against other children, so their child can be "the best". The mother does not argue how evil it is to discriminate against the child because a grandfather was sefardi. She does not argue how evil it is to discriminate against sefardim in general. She practically justifies it. All her argument is is that "my child" should not be discriminated against because he looks and acts ashkenazi. She is part of the problem. If it was up to her the school would continue discriminating, just not against her kid. Her kid should get in and then they should continue their policy of not letting tainted kids in so they do not ruin her kid. She should be complaining about all discrimination. Not just the discrimination against her. Otherwise this stuff will just keep happening. Right now, I feel bad for the kid who is stuck with no school, but the mother is as much to blame as the principal. This story has been confirmed to be true. It happened in RBS B. I have not yet found out the name of the school but people who are familiar with the story firsthand have confirmed it for me. I have decided not to go with a theme this time. Rather I am just giving you the goods. Enjoy. But before I begin, let me just give a shout out to the founder and manager of Haveil Havalim. Soccer Dad has been doing this now for I guess around 132 weeks, which equals about 33 months and about 2.5 years. Way to go Soccer Dad. If any of you are willing to take the time to host a future edition, be in touch with SD. bec made aliya. She shares her experience and first impressions with us. Say Mazel tov! and then bec had a "not so" random Jerusalem moment..
muse compares elul to a bottle of bleach. Batya discusses Education Reform in Israel. Rafi G. (that's me!) questioned Rav Ovadia Yosef's outrageous statement about the cause of soldiers dieing..
Go check out this new blog called bIBLemetrics which is all about Israel Baseball League (IBL) stats. Batya points us to a story of a Palestinian father whose daughter is in an Israeli hospital, and he does not want her sent back to the hell of Gaza..
SnoopyTheGoon tells about father Jacob's unknown thirteenth son and where he ended up...and then obsesses over some statistics.. Mere Rhetoric points out what happened right before Olmert offered Abbas security concessions. sigh. and then the Temple Mount.. sigh. Batya remembers Gush Katif..with shells. muse has back pain.. will it keep her from going to work? Yisrael then pulled a flyer out of his mailbox..and sometimes even works!! 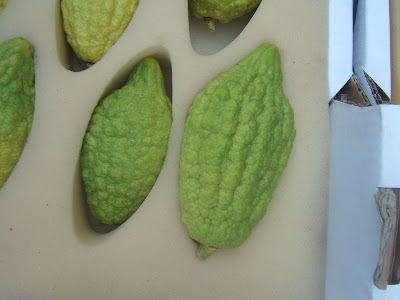 YidWithLid comments on ICAHD and an incident that happened on an airplane...and brings us the Islamic nut-job of the week...and he reveals plans of a worldwide boycott on Israel..
Torah Thoughts blog (mine) has a vort from the parsha on putting things into perspective.. The Mo'ah comments on his finding non-Jewish parve ice cream. Meryl Yourish shows us how while Abbas is talking peace, the Palestinians really want war..
Schvach says it is time to up the ante..
Carl points us to who he thinks should be the Prime Minister, and who Bibi is really afraid of...and thinks we have seen the reality of the Peres solution..
Avromi from DafNotes introduces Daf yomi.. he also brings a very interesting point based on the daf regarding Yosef's coat of many colors..